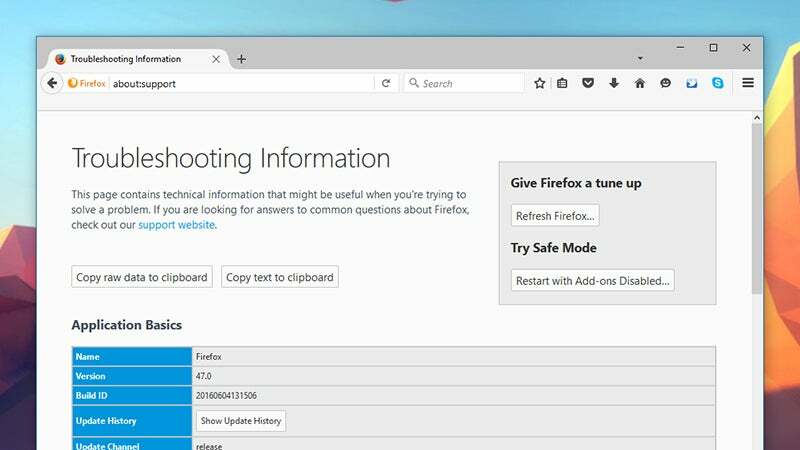 Firefox’s cache is designed to speed up your web browsing by storing certain files locally rather than having to fetch them every time. However, there’s a balance to be struck — if the cache gets too big then it can start causing problems and affect performance. 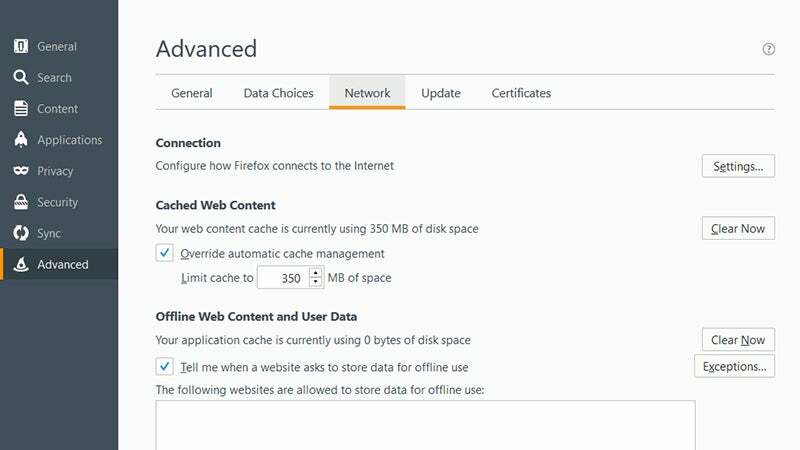 Fortunately, Firefox includes some clever cache management options. 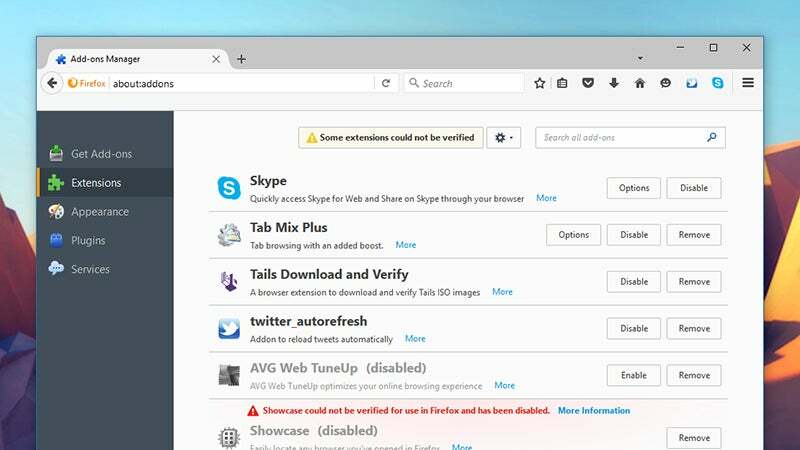 Choose Add-ons from the Firefox menu to disable both extensions and plug-ins. You may want to do a bit of research on the web before killing anything — particularly when it comes to plug-ins — to make sure you’re not going to break anything along the way. Plug-ins can only be deactivated, whereas you can either disable or remove extensions. Yes, we just told you to uninstall most of your extensions, but some of them are genuinely useful. 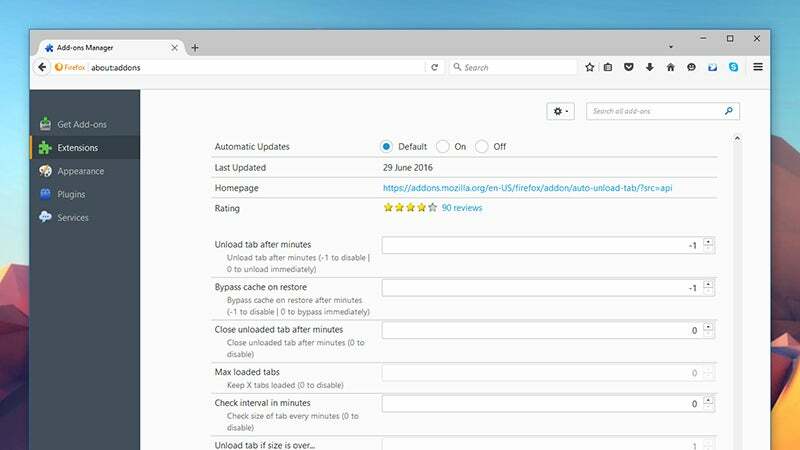 Take Auto Unload Tab, for example, which will ditch inactive tabs after a delay of your choice to free up memory and CPU resources. It’s pretty customisable too and you can specify particular tabs and URLs that you never want to be ‘unloaded’. Then there’s Speed Tweaks — this extension gives you easy access to all those hidden Firefox flags that can speed up performance (they’re also accessible by visiting the “about:config” page). A quick web search on any of these flags will show you what they do and how you can tweak their associated values to improve your browser’s speed.